political prisoners including the SF8, Puerto Rican POWs, etc. the death penalty without a new sentencing hearing! This is another terribly dark day for justice in this country! gunning down a Philadelphia police officer 28 years ago. the jury, and has been an outspoken activist from behind bars. The justices made their announcement Monday. a new sentencing hearing has not been taken up by the high court. prosecutorial misconduct and the inmate's outspoken personality. for years with his provocative writing and activism. Abu-Jamal's brother in a late-night traffic stop. over and shot the policeman in the back and in the head. the killing, according to other witnesses testimony. Abu-Jamal is black and the police officer was white. has been an active critic of the criminal justice system. prisoner-turned-author writes about his fight. in the hidden, dank dungeons of America." but the high court offered no explanation for its refusal to intervene. selection," Bryan wrote to supporters last month. jury panel that sentenced Abu-Jamal to death. might have kept Abu-Jamal off death row. circumstance, such as the fact that Abu-Jamal had no prior criminal record. on both sides were held outside the courtroom in downtown Philadelphia. aggressively resisted efforts to take him of death row for Faulkner's murder. is nothing short of an assassin." ATLANTA — A Georgia parole board on Friday upheld the death sentence of a man convicted of killing a Savannah police officer in 1989, despite a group of witnesses who recanted their testimonies against the convict. It was the second time in two years that the Georgia State Board of Pardons and Paroles denied clemency for the man, Troy A. Davis, despite his lawyers’ claims of police misconduct. Mr. Davis, 39, is scheduled to die by lethal injection in Jackson, Ga., on Sept. 23, unless the United States Supreme Court agrees to hear an appeal. A county jury in 1991 convicted Mr. Davis in the 1989 murder of Mark Allen MacPhail, an off-duty police officer moonlighting as a security guard who was shot to death while responding to a late-night fight at a Burger King in Savannah. Mr. Davis testified he was at a nearby pool hall and left before Officer MacPhail arrived. The prosecution offered no murder weapon, DNA or fingerprints tying Mr. Davis to the killing but instead relied heavily on testimony from witnesses. Since the trial, seven key witnesses have recanted, saying they were bullied by investigators into lying under oath. The case has received international publicity; 20,000 people signed petitions asking that Mr. Davis be spared the death penalty. “Troy’s case represents everything wrong with the death penalty — from procedural obstacles to racial bias to witness mishandling to inadequate counsel,” said Jared Feuer of Amnesty International. The Georgia Board of Pardons and Paroles denied the clemency appeal despite serious new doubts about Mr. Davis’ participation in the murder of which he was accused. Serious flaws during Davis’ trial and post-conviction phases warrant reconsideration of his conviction and sentence. There was no physical evidence against Troy Davis, and the weapon used in the crime was never found. The entire case against Davis was built on witness testimony, which contained inconsistencies at the time of the trial. Recently, seven of nine prosecution witnesses either recanted their stories or admitted to being pressured by police officers to testify against Mr. Davis. One of the other witnesses has been an alternate suspect for the murder. Additionally, Davis’ family members and close friends were not able to testify at his trial, preventing the jurors from hearing sympathetic facts, leaving them to rely only on the prosecutor’s characterizations of Davis and his life. © 2008 Independent Media Institute. All rights reserved. “Non of the material on this website has been uploaded for financial profit, but is merely there for education and research purposes under the ‘Fair Use’ laws”. 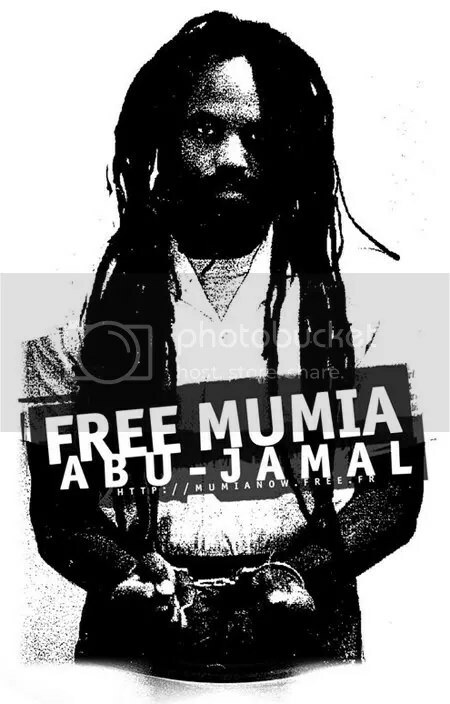 Free Mumua! End the Death Penalty! No More Political Prisoners! All Out for Mumia Abu-Jamal! Join Danny Glover, Cynthia McKinney and many others in Philadelphia! We are asking everyone to contact the media and ask them to cover the events of May 17 — don’t let them ignore Mumia Abu-Jamal on this important day. In just a few days, lawyers for journalist and political activist Mumia Abu-Jamal will present oral arguments in the Third Circuit Court of Appeals in Philadelphia on why Mumia, who has now spent almost 25 years on death row, deserves the right to a new trial. The court will decide after May 17 whether Mumia will be given a fair trial, life in prison, or execution. This case concerns, not only Mumia Abu-Jamal’s right to a fair trial, but the struggle against the death penalty and the racist political repression of an outspoken journalist. On May 17, activists from all over the world will assemble in Philadelphia, Pennsylvania to support Mumia Abu-Jamal’s right to a fair trial. I urge you to cover this historic event. NYC Free Mumia Abu-Jamal Coalition, International Action Center and FIST-Fight Imperialism, Stand Together youth group will be organizing buses to Philadelphia. Buses will be leaving from 33rd St. and 8th Ave. at 5:30am and in front of 55 W. 17th St. at 6a.m. For bus tickets, call 212-633-6646. Go to http://www.millions4mumia.org to download May 17 literature. * The oral argument in the case of death row, political prisoner, Mumia Abu-Jamal, is scheduled on May 17, 9:30 am, in the U.S. Court of Appeals for the Third Circuit, Ceremonial Courtroom, 1st Floor, U.S. Courthouse, 6th and Market Streets. The NAACP Legal Defense and Educational Fund, Inc., and the National Lawyers Guild, which have filed amicus curiae (friend of the court) briefs, are also participating. * Whether Mr. Abu-Jamal was denied the right to due process of law and a fair trial under the Fifth, Sixth and Fourteenth Amendments because of the prosecutor’s “appeal-after- appeal” argument which encouraged the jury to disregard the presumption of innocence and reasonable doubt, and err on the side of guilt. * Whether the prosecution’s use of peremptory challenges to exclude African Americans from sitting on the jury violated Mr. Abu-Jamal’s rights to due process and equal protection of the law under the Sixth and Fourteenth Amendments, and con°©travened Batson v. Kentucky, 476 U.S. 79 (1986). * Whether the jury instructions and verdict form that resulted in the death penalty deprived Mr. Abu-Jamal of rights guar°©anteed by the Eight and Fourteenth Amend°©ments to due process of law, equal protection of the law, and not to be subjected to cruel and unusual punishment, and violated Mills v. Maryland, 486 U.S. 367 (1988), since the judge precluded the jurors from considering any mitigating evidence unless they all agreed on the existence of a particular circumstance. * Whether Mr. Abu-Jamal was denied due process and equal protection of the law under the Sixth and Fourteenth Amendments during post-conviction hearings as the result of the bias and racism of Judge Albert F. Sabo, which included the comment that he was “going to help ‘em fry the ni – – er”.